This one is popular in Tamil Nadu,it goes very well with old rice soaked in water.This mouth watering Kuzhambu is one of my Hubby's fav.you should not add coconut milk or paste and should add more tamarind pulp and less salt. Heat oil in a Pan and fry mustard seeds, crushed garlic cloves,brinjal pieces, chopped onions, red chillies,chopped tomato and chopped curry leaves one by one. Put chilli powder,freshly ground pepper powder, dhania powder, jeera powder, turmeric powder, needed salt, one in order and saute well. When oil separates from the masala, add tamarind pulp and allow it to boil till tamarind is done well. 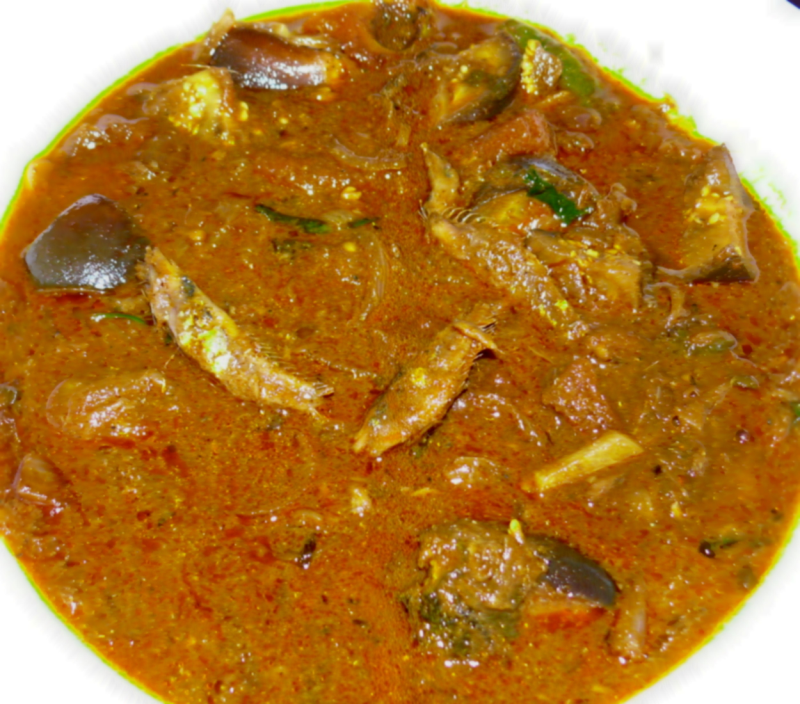 Put dry-fish Pieces next and mix them well in the masala and pour 3 cups of water and close the lid of the pan. Cook it for 3 to 4 minutes only . Then garnish with chopped coriander leaves. that's all. Thank u so much Lalitha!.U can try this Dry-fish Kuzhambu with long beans(mochai kottai-soaked overnight) instead of brinjal pieces in step 1.Check for the doneness of the beans before adding dry-fishes in step 4.